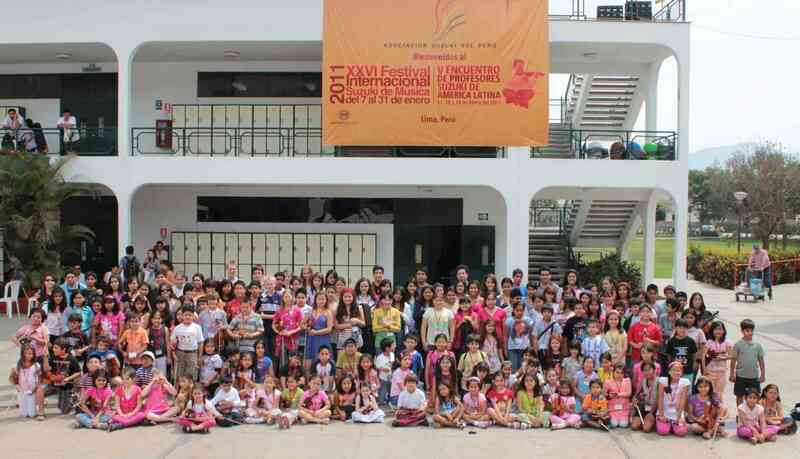 The 26th International Suzuki Festival and 5th Latin American Suzuki Teachers’ Conference were held in Lima, Peru, in January 2011. More than 1,500 people attended these events with participants traveling from Argentina, Brazil, Canada, Colombia, Chile, Ecuador, Mexico, Scotland, Switzerland, Puerto Rico, Venezuela, the United States and from all over Peru. Many thanks to our SAA Teacher Trainers: David Evenchick, Doris Koppelman, Mary McCarthy, Marilyn O’Boyle, Fernando Piñero, Mary Lou Roberts, Shinobu Saito, Ann Montzka Smelser and Kelly Williamson. In addition to Suzuki courses, workshops for teachers in Dalcroze and Kodaly were offered by Iramar Rodriques from Switzerland and Lydia Mills from California. For David and Ann it was their first time in Latin America. To know that music is the greatest of international languages is one thing, but what a powerful experience it is to eat, breath, teach and be taught under this communal umbrella. Such was my experience last January at the 26th International Suzuki Festival in Lima Peru. The Latin American way is imbued with an enthusiastic appreciation and recognition for its many countries, regions and diverse ethnic groups. Alongside this regional pride there is also an understanding of how we must also come together. In Lima I was able to witness the various ways that music can promote sharing and understanding between different cultures and economic levels. The participants in my Teacher Development class traveled to Lima from a half dozen different countries and ranged in experience from self-taught (via YouTube) to professional-level cellists. You can imagine the challenges in starting to learn the cello over the Internet! And what about the fortitude to play alongside cellists with decades of high level training? As a first time guest in Latin America, I was very touched by this and so many other examples of their great thirst for learning and good will, not to mention the participants’ impressive philosophical conviction to the Suzuki Method. Now that I am back home I have a greater sense of the importance of spreading our community of Suzuki teachers parents and learners. It is a significant honor and privilege. Special thanks to the Suzuki Association of Peru for the inspiration! Sometimes I feel a little guilty when I return from a teaching trip when I feel I have probably learned more from the experience than anyone else. This is how I felt returning from teaching Suzuki Violin Units One and Two at the International Suzuki Festival in Peru. I have been so full of hope and inspiration ever since my return to DeKalb, Illinois. I would like to share a few impressions from my first time teaching in South America. I was touched by how warmly everyone greets each other every single day. There is such personal connection and less technological distraction than I am used to here in the United States. Even though the classes were very large I felt like I had the space and time to connect with each teacher in the course. Maybe this was because Teacher Trainers hear the entire book played by each participant individually during the two and a half hour lunch breaks. We also connected during two days of “Teaching Strategies” at the end of each course where the participants watch and discuss each other’s live or recorded teaching. I was deeply moved by how thoroughly the teachers embraced Suzuki’s vision and philosophy at such early books. I credit both the Filosofia structure (15 hours of class time with 8 observation hours as opposed to our 6 hours of ECC and the masterful presentation of the course by Caroline Fraser. We can learn from this model! I was speaking to the teachers in English and they were communicating to me in Spanish or Portuguese. All of our words were translated by a wonderful music student named Fiorella. When Fi lost her voice toward the end of the week the “international language of music” was understood on a deeper level! It was helpful for me to learn to use fewer words to say even more. I am implementing this “play more, talk less” approach in all of my teaching. I imagine my students young and old are thankful. Perhaps what struck me the most is how much can be accomplished in environments where resources are very scarce. I met teachers from the jungle who have taught themselves to play violin primarily through books, musicians passing through their villages, YouTube and annual attendance at this festival. Through practicing and determination they play very well! 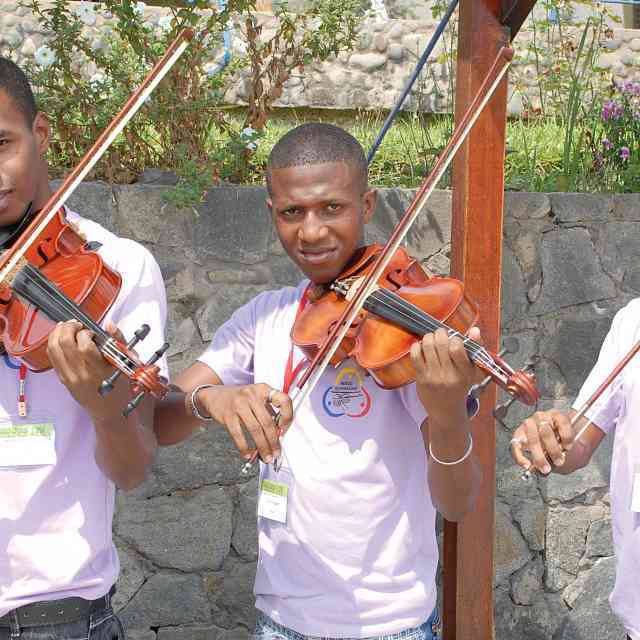 Much like Dr. Suzuki these self-taught violinists are looking for more for the families of their communities and the world at large. I am so thankful for this experience. The teachers and families I have met have enriched me as a person and a teacher. Grande applause to the Suzuki Association of Peru and all who connect the Americas in the name of Suzuki, there is so much we can learn from each other! For me, this has been an unforgettable experience, especially representing my country: this is an honour and a challenge. The truth is that I learned and grew a great deal, both in the musical and the emotional aspects. Everyone was wonderful and I consider that “my life has been changed.” This was the phrase I used when I talked with Caroline Fraser for the first time. I think this is the phrase that best expresses what this musical fiesta was for me. It changed my life and gave me a new musical perspective. Now more than ever, I have been injected with new ideas and energy in order to continue working in my beautiful country, Guatemala, with the main goal being to organize the I Suzuki Festival in Guatemala. Once again, I want to express my profound gratitude to Caroline Fraser, the Suzuki Association of Peru and the SAA for helping me attend the festival and for having faith in me. Para mi ha sido una experiencia inolvidable, en especial cuando debo representar a todo un país. Es en realidad un honor y un reto. En verdad aprendí y crecí mucho tanto en lo musical como en lo afectivo. Todos fueron maravillosos y considero que, “me ha cambiado la vida.” Esa fue la frase que expresé al conversar con la Mta. Caroline Fraser por primera vez. Si creo que esa es la frase que mejor expresa lo que fue para mí toda esa fiesta musical. Me cambió la vida y me dio una nueva perspectiva de la enseñanza musical. Ahora más que nunca creo que me han inyectado muchas ideas y energía para continuar trabajando en mi hermoso país Guatemala para poder realizar como meta principal a Corto Plazo el I Festival Suzuki en Guatemala. Nuevamente quiero expresar mi profundo agradecimiento a la Mta. Caroline Fraser por ayudarme a asistir, a la Asociación Suzuki del Perú y la SAA, por confiar en mí y brindarme su apoyo. For the first time, a group of participants came from a North American University to attend the festival and receive training. First, let me describe our group: 14 college students, one professor of music, and one tag-along Teacher Trainer. The students attend Principia College in Elsah, Illinois, and originally come from Mexico, Canada, Washington, Colorado and Virginia; they are musicians who play violin, flute, and piano. 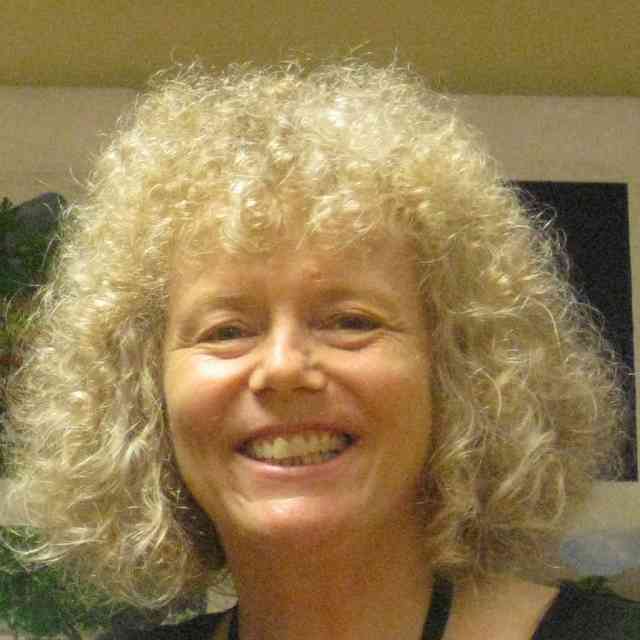 Dr. Marie Jureit is their professor of music at Principia College, and I am Vera McCoy-Sulentic, Teacher Trainer and director of the Suzuki Program at Southern Illinois University Edwardsville. How did this group of people happen to travel to another continent to attend the 26th International Suzuki Festival in Lima, Peru, in the middle of January to study Suzuki Book One on violin, flute and piano? The adventure was the brainchild of Marie Jureit, former accompanist in John Kendall’s program at SIUE. Her four children studied Suzuki method on violin and cello, and her respect for the method and the fundamental ideals that it supports led her to visit Matsumoto on a recent performing tour to Japan with her daughter. Marie was inspired by the joy and passion of Suzuki’s teaching and the lingering atmosphere of energy that remains in his home which is now a museum. As an educator, she realized the benefit that her college age music students would gain by studying Book One of the Suzuki Method. Only one place offered teacher training on violin, flute and piano at the same time during the academic school year … Peru. Marie asked me to teach the ECC course, and I asked Marie if I could tag along with the group. Six days later we all departed for Peru. The students were eager and excited both about their international travel and the opportunity to learn about this new concept called Suzuki Method. Some of them had heard about it; some had no clue as to what it was, and some had had “sort of Suzuki” violin lessons from various teachers. With emails flying and arrangements for transportation, hotel, food, registration, passports and other preparations, finally we were ready for departure on January 14. Day One of teacher training arrives, and we pile into four taxis for the thrill-of-a-lifetime ride through the crowded streets of Lima. Yes, there are painted lane markers, but no one seems to notice them; yes, the traffic is moving at an incredible rate of speed but vendors still walk between cars to sell gum and newspapers; and yes, we snap our eyes shut as a huge bus pulls close enough to the taxi to nearly touch a side mirror. But we safely arrive at the Newton College and register at the Festival office, a happy, hardworking place filled with volunteers, workers and the calm, cheerful presence of Roberta Centurion and Caroline Fraser. Endless questions in Spanish and English bombard Roberta [Centurion] and Caroline, but they make time to welcome our band of newcomers from the U.S. The Principia students rehearse their pieces for the concert and are sounding terrific. Focused and polished, they run through their repertoire of piano, flute, and violin pieces that will be performed at the opening concert. That evening we meet young students and teacher training participants who have come to the festival from all over South America, the U.S. and Mexico. In spite of our different languages, the students from Principia feel the spirit of hospitality and camaraderie that permeates and enlivens the atmosphere of this Festival. They are beginning to sense that Suzuki training is going to involve much more than learning games to play with young children. Day Two: I ask the students how their opening day went yesterday; Emily says, ”I like the energy” while Maggie confirms that she is “learning so much about my own playing and also discovering the beginning steps.” All of the students are amazed to meet teacher training participants who are taking the Book One class for the third time. They are amazed that some students and teachers have traveled 16 hours by bus from a tiny mountain town called Huancavalica to study recorder. This Suzuki community is beginning to work its magic on our young novice teachers from Illinois. As the week progresses, the Principia College students get comfortable with the routine and the concentration of hours of instruction each day. Their brains are chock full of new ideas, new teaching styles, new ways of exploring music plus new food, new people, new language and new culture. Music is bonding this group of students to each other as well as to their newfound Suzuki community. As the tag- a-long Violin Teacher Trainer, I am honored to be able to sit in on Book One classes for cello, guitar, flute, and piano, which I have never experienced before. What a wonderful world that was so familiar but also full of new ideas and personalities. Flute players spit grains of rice to practice the basic embouchure, pianists lift their wrists gracefully to the sky to work on tone, and guitar beginners learn how to negotiate a chair, a footrest, and an instrument. Cellists throw squishy balls in the air to embody the arc of a bow stroke. Finally, I can satisfy my curiosity about the beginning stages for other instruments and marvel at the creativity of these amazing teacher trainers who guide their students to a thorough understanding of Suzuki principles. After their thirty-two hours of Book One instruction (four hours are added for translation time) and hours of observations, our group of young people from Illinois emerges as musicians with new understanding and appreciation for the Suzuki Method. Not all of them will go on to teach music, not all of them will go on to perform music, but they will all go forward embracing the philosophy that every child, and every college student, can be nurtured by love. Delegations of teachers, students and parents travelled from Chile and Brazil. Todos los fines de año nuestros alumnos terminan cansados después de todas sus actividades Suzuki y del Colegio y empiezan las actividades del próximo año con relativo entusiasmo. Este año al empezar nuestras actividades los primeros días de marzo, nos encontramos con nuestros alumnos con una actitud de ansias y alegría de retornar a las clases de la Academia. Fue muy emotivo e impresionante ver como tan solo en el mes de vacaciones de febrero pudieron tener tanto entusiasmo y constancia para estudiar, valorando y recordando las instrucciones que recibieron de cada uno de sus profesores. ¿Qué efecto mágico se ha producido? preguntaban los padres que los vieron el primer día de clases ¿qué les ha pasado? reflexionaban, ¿qué maravilloso ha sido este encuentro? El encuentro cautivó tan profundamente a los niños y padres que trasmitieron toda esa radiante energía que recibieron durante los días que vivieron el Festival, rodeado siempre del ambiente Suzuki. Si esto no es un cambio extraordinario en las vidas personales de los niños que viajaron y participaron en el XVI Festival Internacional Suzuki de Perú, entonces ¿qué son los cambios de actitudes en la vida? Podríamos llenar páginas y páginas de todas nuestras vivencias, pero creo que junto con resaltar lo valioso del Festival en cuanto a su organización y participación de niños, padre y profesores de tantas partes del mundo, es de exaltar la dedicación y vocación de lo que nuestros padres con cariño han llamado misioneras del Método Suzuki: a Carolina, Roberta, y Annika, que con tanta pasión y energía han evangelizado con la belleza de la filosofía Suzuki, a niños y padres del Perú y Latinoamérica. Nosotros somos hijos de esta incansable labor. Muchas gracias a las queridas Profesoras y a toda la Comunidad de la Asociación Suzuki del Perú. Finalmente deseo exponer el caso de dos alumnos, hoy profesores gracias a las capacitaciones que da el Festival: Claudio Arévalo y David Jacobsen de Oliveira. Deseamos y tenemos fe en Dios y haremos todos los esfuerzos para que más niños y padres convivan las maravillosas experiencias del Festival. Muchas gracias por la fraternidad, amistad y cariño con que recibieron a los jóvenes papás y mamás de esta tierra chilena. A música já é encantadora por si só. E quando se torna possível unir atividades como aprendizado, cultura e turismo, se torna ainda mais agradável. Um grupo formado por 26 pessoas, entre professores, alunos e pais do Programa Suzuki da Associação Pró Cultura e Arte Ivoti / Instituto de Educação Ivoti, optaram por férias diferentes neste verão. Este grupo participou do 26º Festival Internacional de Música em Lima, Peru. Os alunos tiveram aulas individuais, aulas em grupo, oficinas diversas e trabalho de orquestra. Já os professores tiveram a oportunidade de participar de cursos de aperfeiçoamento certificados pela SAA. Além disso, a professora Alexa Lang e eu, que organizamos a ida do grupo de Ivoti ao Peru atuamos como professores no Festival. A maioria dos componentes do grupo participou do primeiro módulo do Festival que encerrou dia 12 de janeiro. O Grupo, porém, permaneceu em Lima até o dia 15 para conhecer a cidade e sua cultura. Aproveitamos para conhecer pontos turísticos de Lima, visitar museus e igrejas, fazer compras nos mercados de artesanato local e fazer uma viagem de barco no oceano pacífico onde tivemos a oportunidade de nadar com leões marinhos. Em resumo, a experiência foi incrível! Muitos dos alunos nunca havia participado de um festival fora do estado do Rio Grande do Sul (Brasil) e para a maioria esta foi a primeira viagem internacional. Todos voltaram muito motivados e entusiasmado, já planejando participar de outros festivais Suzuki. Music is something very agreeable, and if you can join together learning, culture and tourism it makes it an excellent activity. Our group, composed of 26 people (teachers, students and parents from the Suzuki Program of the Association—Associação Pro-cultura e Arte-Ivoti/Instituto de Educação Ivoti), chose a different kind of holiday last summer. The group took part in the 26th International Music Festival in Lima, Peru. The students had individual and group classes, workshops and orchestra activities. The teachers have been offered the opportunity to take part in classes for their improvement. Teacher Alexa and I, the organizers of the group also acted as teachers. Most of our students took part in the first module of the Festival, which finished on January, 12th, but the group stayed in Lima until the 15th in order to visit the city and to become acquainted with its culture. We saw interesting places in Lima, visited museums and churches, did some shopping and took a short boat trip in the Pacific where we wam with sea lions. In summary, it was an incredible experience! Several students had never participated in a Festival outside our State of Rio Grande do Sul, and for many of them it was their first trip abroad. All of them returned home with great motivation and have already decided to take part in future festivals. 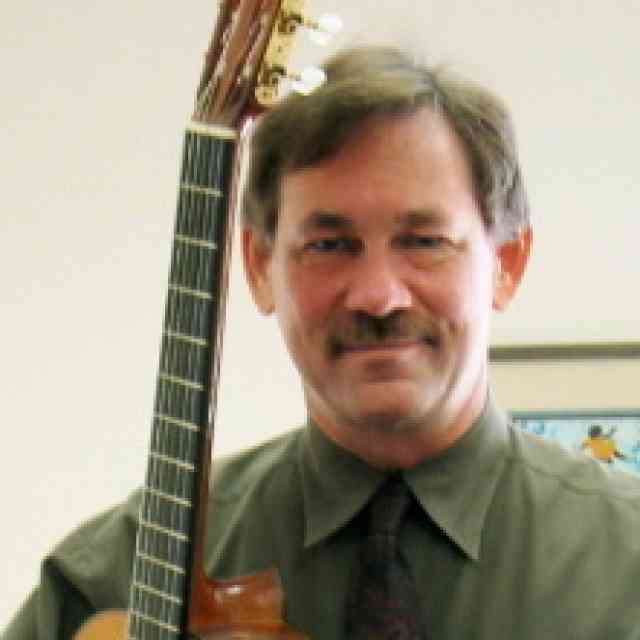 Friends and colleagues have once more made generous donations of instruments. Thank you Kelly and Mary! Last fall, Recorder Teacher Trainer Mary Halverson Waldo was presented with a “Gift Certificate” by the Sunday school children of Grace Episcopal Church in Anderson, South Carolina, for ten soprano recorders to be purchased and presented to children in need. Coincidentally, at about the same time, seven-year-old recorder student Eli Pressman of Shorewood, MN, sent a check from his family’s charity box to buy an alto recorder for the same purpose. The excellent quality, donated instruments were presented to a deserving group—the Suzuki children and teachers of Huancavelica, Peru, during the Lima Festival in January. The donors from SC and MN had something in common: they had observed the significant adults in their family and faith community environments offering long-term help to their fellow human beings in need (in Haiti, and in the Dominican Republic). Many thanks to Suzuki flute teacher Susan Friedlander of New York City, and Canadian flutist Christoph Kessel, for donating instruments. (Susan coordinated the donation of two of the instruments, and this is also the second flute that Christoph has donated to a participant at the Lima festival.) Christoph plays in the Guelph Symphony with cello teacher trainer David Evenchick. The fourth instrument was donated by my newest adult student, Heidi Cran. Heidi is a grade one teacher who began formal flute studies this year. She was very pleased to donate her high school instrument, to allow a young student the opportunity to get as much enjoyment from playing the flute as she does. During the festival, 12 year old Maylin Pre Kong, performed the first movement of the Mozart A major Concerto with the orchestra. She was playing on an instrument which had been donated by the SAA and Donald Robertson of Robertson Violins, with the support of Ruth Engle Larner. For me is a joy to write to you and at the same time wholeheartedly thank you for giving me the violin. I really feel very happy because now I can practice with a professional violin, and it will very useful for me. I was thrilled when I was given the violin. This is the biggest gift that I have had in all my life apart from my clavinova. I always wanted a gift like that and my dream was fulfilled because now I have a good violin that allows me to continue advancing in my life as a musician. I would like to learn from you, to be able to go there and receive classes. I know that someday I will fulfill this dream and with this hope I say goodbye to you. Thank you for all the support, which motivates me every day. Para mí es una gran alegría escribirles y a la vez agradecerles de todo corazón por regalarme el violín. En verdad me siento muy contenta porque ahora puedo practicar con un violín profesional y me servirá de mucho. Me emocioné cuando me entregaron el violín. Es el regalo más grande que tuve en toda mi vida, aparte de mí clavinova. Siempre quise un regalo así y mi sueño se cumplió porque ahora tengo un violín muy bueno que me sirve para seguir avanzando en mi vida como músico. Me gustaría aprender mucho de ustedes, poder ir allá y recibir clases. Sé que algún día se cumplirá ese sueño y con esa esperanza me despido de ustedes. Gracias por todo el apoyo que me dan; eso hace que yo me motive día a día. Eleven countries were represented at this conference: Argentina, Brazil, Chile, Colombia, Ecuador, Guatemala, Mexico, Peru, Puerto Rico, the USA and Canada. Each Latin American country gave a presentation with DVDs and slides showing the most recent developments in their programs and outlining their goals for the future. For the first time, a special session was also held in which the various regions of Peru shared information about their activities. In addition, there were brainstorming workshops, presentations on specific topics and panel discussions. Concrete proposals for future projects were made: an organizing committee for the II Latin American Students’ Encuentro to be held in January 2012 was formed. Musical arrangements from each country were selected and performed. The Conference ended with a pisco sour toast. Salud! “Sembrando el Futuro” fue el nombre del V Encuentro de profesores Suzuki de América Latina que se llevó a cabo en Lima en enero de este año. Este encuentro generó espacios para mirar nuestras organizaciones, nuestra enseñanza y el rumbo de nuestra comunidad Suzuki Latinoamericana. Roberta Centurión y Caroline Fraser recapitularon algunos de los logros conseguidos a raíz de los Encuentros de profesores Suzuki de América Latina: formación de una comunidad, red de comunicación, intercambios y encuentros nacionales e internacionales, publicación de libros en español, profesores de capacitación de América Latina, el I Encuentro de alumnos Suzuki de América Latina, entre otros. Acciones y resultados que han repercutido en el respeto y consideración a nivel internacional del desarrollo del método Suzuki en América Latina. Eso permitió ver que tenemos una historia, un cimiento, una raíz de dónde partir. Pero además, Pam Brasch dijo que el crecimiento de la comunidad Suzuki en América Latina robusto a nivel internacional y que una de las cosas por compartir es nuestro entusiasmo y vitalidad, recordando que para seguir teniendo éxito en nuestras metas a largo plazo debemos mantener la firmeza y la paciencia. Sin embargo, no sólo podemos ofrecer el entusiasmo desde América Latina; también ofrecemos ideas innovadoras, la música de nuestros pueblos, respeto por culturas diferentes, ánimo y continuación en la educación musical a pesar de las adversidades. A veces, en el ir y venir, olvidamos lo mucho que podemos entregar a la comunidad Suzuki global. Gracias Doris Koppleman y Kelly Williamson por recordárnoslo. Más allá de lo que geográficamente nos une en América Latina y lo que nos vincula a una comunidad mayor es que compartimos una forma de enseñar específica. Así Terry Einfeldt nos recordó oportunamente que no sólo educamos en la música, sino también al niño, a la persona y al espíritu, y que cumplimos un papel importante en la formación tanto de alumnos como de la familia. Así pues, nuestro compromiso con la educación continua y la coherencia entre lo que decimos y hacemos resultan de vital importancia para que nuestra “práctica” Suzuki tenga éxito. Por otro lado, Shinobu Saito, de Brasil, mencionó que debemos tener presente que lo más importante son los alumnos tristes, los que tienen problemas de aprendizaje, o de conducta, porque Suzuki no sólo está tratando de dar cualidades musicales, si no sobre todo mejores personas. Esta enseñanza conlleva a la posibilidad de colaborar en dar identidad y significado a una comunidad, tal como expuso Gabriel Pliego, de México. Natalia Grima, de Argentina, habló sobre la importancia de empezar temprano en pos del desarrollo del potencial humano y musical. Esta experiencia ha generado un nivel de motivación alto que se refleja en niveles de concentración también elevados, así como el desarrollo continuo de habilidades sociales, desarrollo de autoestima y un gran amor a la música. Por otro lado, Marcelino Pratts, de Colombia, nos presentó la idea de ser ruiseñores: profesores que paso a paso se desarrollan y lo hacen así con sus alumnos, a diferencia de los profesores “filtros” que seleccionan a los alumnos según su avance. Ellos son profesores que participan e interactúan, siendo independientes, pero ligados a la interdependencia. Ante ello, Marcelino reconoció que el gran obstáculo es el enojo que es innecesario en la vida humana. Enojo que a veces surge al creer que uno tiene la razón frente a la opinión del resto y que genera la actitud violenta. Sin embargo, y con una constante práctica de “no estar enojado”, el reconocimiento del diálogo y las diferencias se abre como respuesta a la opinión diferente. Ello pues, lleva al consenso, al reconocimiento de la diversidad, y un aprendizaje de cómo expresar los desacuerdos, y de este modo generar un mejor ambiente entre padres, profesores y alumnos. Gabriel Pliego mencionó que “la mejor manera de sembrar el futuro es trabajando apasionadamente en el presente.” Así pues, pudimos planificar y coordinar desde ya lo referente al II Encuentro de Alumnos de América Latina en 2012. Coordinadores por país y una Comisión Directiva, así como el aporte de los involucrados en el Encuentro anterior generaron las bases para empezar a trabajar, volver a nuestros países y poner la organización del Encuentro de 2012 en marcha. Como un buen comienzo, los profesores formaron una orquesta y practicaron juntos los arreglos representativos de cada país. Finalmente, a partir del camino ya recorrido, de retos que se nos presentan pero potencialidades que podemos ofrecer, y un espíritu Suzuki que nos une e impulsa, nos detuvimos a “pensar hacia el futuro.” Fernando Piñero, de Argentina, nos animó a ver esos sueños, utopías que como comunidad tenemos. Ello llevó a darnos cuenta que nuestra comunidad es ahora diferente. Hablamos de una comunidad dispuesta a involucrarse mucho más en la toma de decisiones a nivel internacional, consolidar nuestra comunicación y organizarnos en pos de una mejor educación y beneficios para nuestra comunidad. - Crear una página web para Suzuki en América Latina (la Asociación Mexicana del Método Suzuki de México aceptó el encargo). Definitivamente, un espacio como este Encuentro de profesores permite por un lado, compartir y aprender de las experiencias de nuestros colegas y organizaciones, reconocer que tenemos problemas similares y que juntos podemos trabajar para mejorarlos, y por otro lado, nos hace parte de la toma de decisiones, proyectos y rumbo que la comunidad de América Latina quiere tener. Somos pues, agentes del crecimiento de una comunidad que siembra en este momento para luego recoger juntos los frutos. Although Pam Brasch and Teri Einfeldt were not able to attend the Conference in person, their messages were heard, thanks to our excellent interpreter, Betsy Pavon. Thank you, Pam and Teri, for your inspirational thoughts. Following are extracts from their presentations. The growth of Suzuki in Latin America is among the strongest anywhere in the world. There is much that Latin America can offer the rest of the world! Something very important that you are already doing very, very well is sharing your enthusiasm for the Suzuki method … . The rest of the world, where Suzuki has long been established, needs to be invigorated by your excitement and enthusiasm for Suzuki’s successful, positive and timeless approach to educating children. El crecimiento de Suzuki en Sudamérica es entre los más robustos en todo el mundo. Latinoamérica tiene mucho para ofrecer al mundo! Algo que ya están haciendo muy bien es compartir su entusiasmo para el método Suzuki … . El resto del mundo, los sitios donde Suzuki ya ha sido establecido, necesitan ser vigorizados por tu entusiasmo por este método exitoso y positivo de educar a niños. No matter where we call home, all of us who belong to the Suzuki Association of the Americas are working towards the same goals. Together, we are walking from different roads to reach the same destination. Keeping the children focused in the forefront of our journey defines our mission. No importa de dónde somos, todos nosotros quienes pertenecemos a la Asociacion Suzuki de las Americas estamos trabando hacia las mismas metas. Juntos, caminamos de distintos sitios hacia la misma destinación. Manteniendo a los niños como el enfoque final de nuestro camino define nuestra misión. 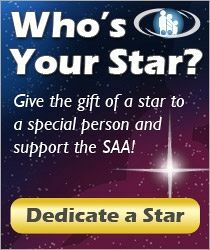 The Suzuki Association of Peru thanks the SAA for the generous support. Thanks also to the American Embassy in Peru, Newton College, the Escuela Superior de Folklore, the Swiss Arts Council Pro Helvetia, contributors to the Latin American Scholarship Fund, and to everyone who gave time and energy to help make this festival possible. As Dr Suzuki said, “Working together, we can change the world”. “Trabajando juntos, podemos cambiar el mundo.” Muchas gracias!